Learning to drive is stressful and nothing compares to the relief we feel when we’re handed the all-important A4 certificate confirming that we’ve passed that driving test. So, after all of this, you deserve more than another few months of stress finding your first car. Finding the perfect car that ticks the millions of requirements on your check-list: such as arranging driver insurance; calculating maintenance costs, and all the other stresses that come with car buying end here. Whether you’re a new driver or parent looking at buying a car for your son or daughter, we all know that a first car will be one of the most memorable and important purchases of your life. And that’s why at Zero Deposit Car Leasing we want to make it easy for you. First things first - getting an idea of your budget and options. These are 5 cars you should consider for a successful first car buying and driving experience. We’ve done all the weighing up for you. If you’re looking for low insurance premiums, low road tax, affordable running costs and an easy drive, no matter your driving skills and driving experience, these are the cars that will have you covered. 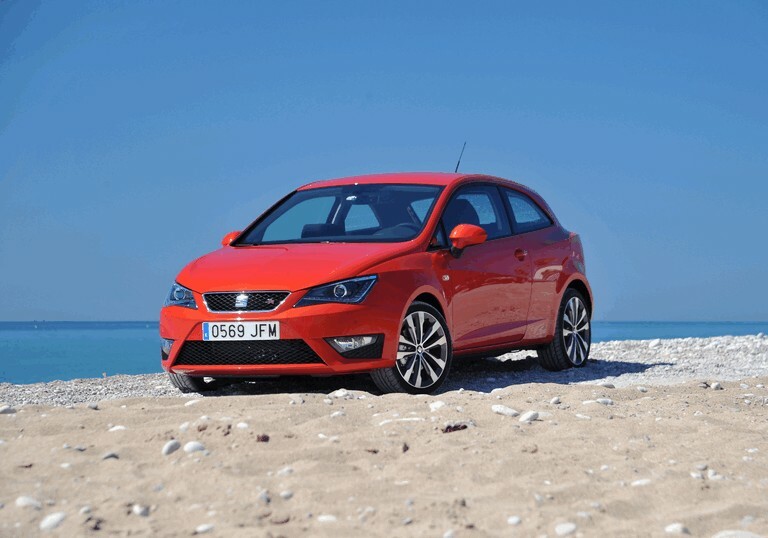 The Seat Ibiza is the Spanish manufacturers best-selling model of all time. A Seat Ibiza is a stylish supermini that is big in all the right places - a spacious cabin and big boot. It’s a perfect size, making it easy to drive in town, but also big enough for two adults to sit in the back. The Ibiza is one of the most popular cars among first-time buyers. It’s surprisingly quiet, even with a 1.0-litre 3-cylinder engine. The same 1.0-litre engine that will ensure your insurance costs are kept to a minimum. Seat offers a range of trims to choose from - the most popular being the S, SE, FR and Sport. Starting with the S, you will be offered electrical windows, CD stereo, power steering, two-way adjustable steering column, Isofix child seat mounts, remote control locking and steel wheels. Move up to an SE and you are rewarded with cruise control, rear electric windows, folding rear seats and alloy wheels, while the FR has larger 16-inch alloy wheels, cruise control, LED daytime running lights and ESP traction control. Choose the Sport and you will get a leather covered steering wheel, sports seats and 16-inch alloy wheels. It is safe to say the Ibiza is among the more stylish supermini models on the road. With strong bodywork and triangular LED light, rivals are made to look unexciting in comparison. The latest Ibiza makes an overall great first car, with easy controls, a strong range of petrol engines and good visibility. More than 14 million Volkswagen Polos have been sold since its original release in 1975. The Polo has long been distinguished by its sleek design, sturdy build and low depreciation. In the UK, it has established a place in the top 3 superminis, alongside the Vauxhall Corsa and Ford Fiesta. Could you be among the next 14 million lucky people to get behind the wheel of a Polo? If you’re looking for something spacier than a city car, but smaller than a Golf-sized hatch, a Volkswagen Polo is the perfect middle-ground for you. It’s comfortable, feels stable on the road and is enjoyable to drive. Being such an icon in the UK, today there is a Polo for everyone. You can choose from nine different trims: S, S A/C, SE SE Design, BlueMotion, R-Line, SEL, BlueGT and a sporty GTI. Our recommendation? The SE trim. Affordable monthly prices will get you an air-con, a heated rear windscreen, DAB radio, Bluetooth, an alarm and 15-inch alloy wheels as standard. Pick a 1-0 litre model with 65 bhp and the Polo fits into the cheapest group one insurance bracket. 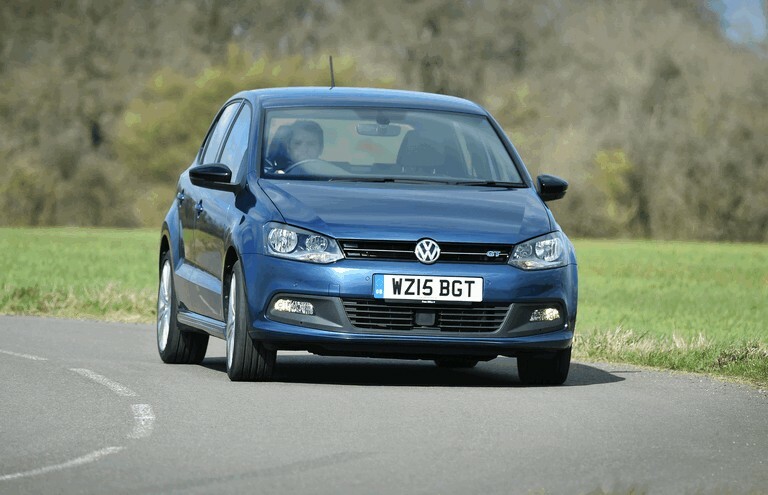 For the most miles per gallon, it would be best to go for the 1.6-litre diesel Polo model which give 74.3mpg. In contrast, a 1.0-litre non-turbocharged petrol model would give you 58.9mpg. Spacious, comfortable, well equipped and with a good range of petrol engines, the Polo is one of the best superminis there has ever been. Hyundai i10s are all about low running costs and an easy drive. 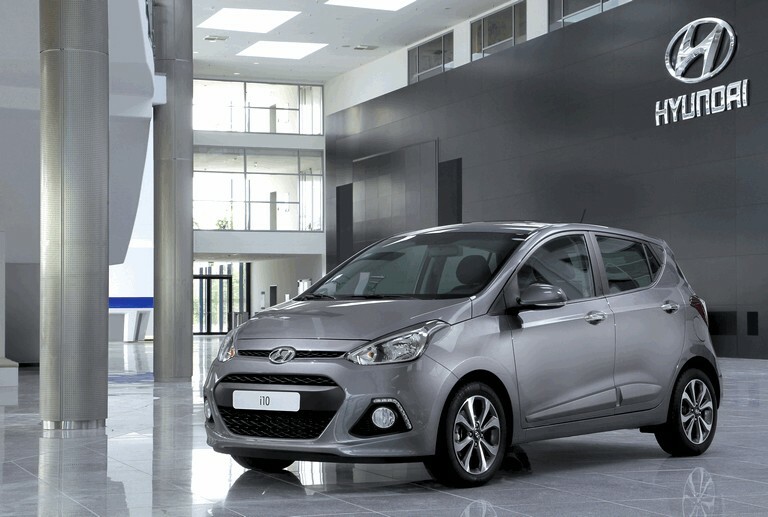 The i10 may not have the style of its rivals, but offers great practicality for small monthly payments. Not to forget Hyundai’s enticing five-year free manufacturer’s warranty with roadside assistance and free annual vehicle checks. If you’re after a small city car without a compromise on boot size and enough room for five adults, then the i10 should be an option to consider. The interior may not feel as well-built as a Volkswagen Up!, nor is it as fun to drive as the Ford KA+, but it’s the roomiest small city car out there. The S and SE are the most popular of the seven trims available. Inside the S is a beige coloured interior extending to the seats, dash and door trims, while SE models have a choice of blue and orange. Basic S models come with electric front windows, central locking, a USB socket, ISOFIX child seat mounts and 14-inch steel wheels. Choose from two engine options: either the 1.0-litre 65bhp three cylinder or a 1.2-litre 86bhp four cylinder. Both engines come with a five-speed gearbox. The Hyundai i10 is one of the best city cars around. It’s roomy, good value for money, drives well and has a long warranty. The smallest and cheapest new Volkswagen on sale is the Up! city car. While it’s compact in size and costs less than other Volkswagen models, it hasn’t compensated on delivering the top-quality German manufacturer VW is famous for. Volkswagen has nailed interior quality - not even the almost identical Mii and Citigo compete. Even lower-end trims look and feel surprisingly upmarket inside. The High Up model is even better, with glossy dashboard panels and chrome-rimmed switchgear. The Up! is as chic as city cars get. The base model starts with the Take Up!, followed by the Move Up! and High Up!. Not forgetting the GTI - a performance car with a fun character. In terms of costs, it doesn’t get much better than the Up!. It lies in insurance group 1, ensuring you’ll be getting the lowest premiums. Day-to-day runnings are also low, especially with the 59bhp and 74 bhp versions, averaging around 55 mpg. The Skoda Citigo is a small city car with big value, as well as more space than you’d probably thought. 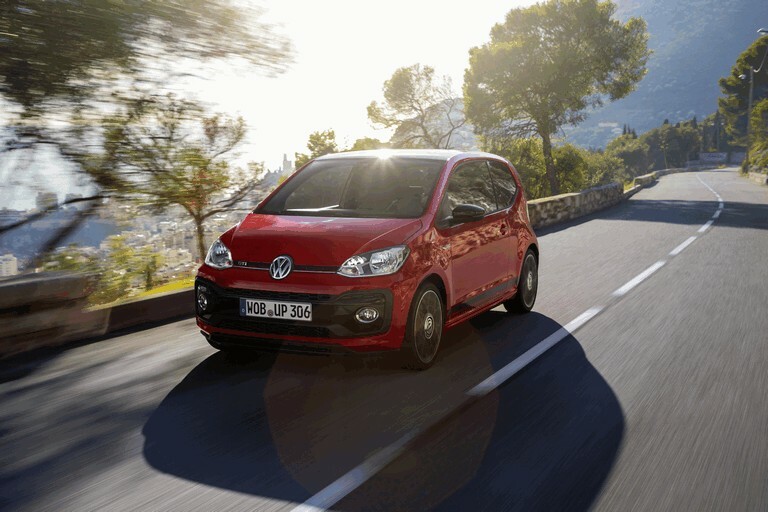 Its direct competitors are almost identical - the Seat Mii and Volkswagen Up!. The car is one of the biggest you will find in a car of its size, with a boot capacity of 251-litres or enough room for two suitcases. It’s cheaper to buy than both of its twin rivals. With monthly payment options at Hippo Leasing, you could be paying small monthly payments as low as under £110. The Citigo was originally launched less than a decade ago yet over 37,000 units have exited showrooms and driven out onto our road. It quickly jumped to the top of the best city cars of the year chart and has remained a non-mover. S, SE Monte Carlo and SE-L are your Citigo trim options. It’s best to avoid the entry-level trim. It may be cheap, but lacks basic features like electrical windows, air conditioning and remote central locking. So we do advise spending a little extra to move up to the SE trim, adding those missing extras. The Monte-Carlo is the ‘sporty’ trim with a lower suspension, added interior and exterior styling details and alloy wheels. For those after a high-end touch, the SE-L bring heated seats, electrically heated and adjustable door mirrors, front fog lights and a leather steering wheel. 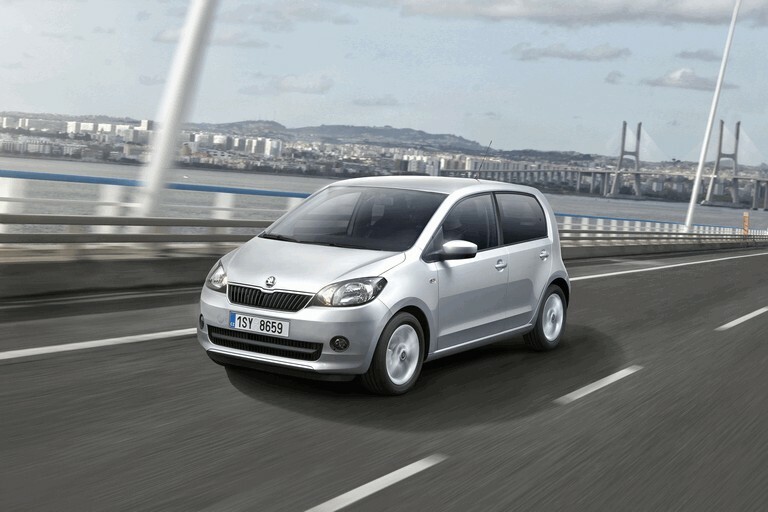 Considering its size, the Citigo has a remarkably smooth drive, smoothing out all sorts of lumps and bumps in the road. Even at higher speeds on motorways, it remains unusually comfortable for such a small car. Next step? Speak to one of our account managers to discuss quotes and all the details you’ll need to know on the leasing options available.